The Quiklok SL913 stand is an all ALUMINIUM construction DOUBLE TIER keyboard stand which guarantees amazing lightness while ensuring maximum sturdiness and excellent structural support, finished in high grade metallic paint. Exclusive, ingenious, patented design of tiers and base, made of high-grade quality die-cast aluminium, allows to set up the stand in just a few seconds, and instantly packs down to a very compact, portable size for convenient storage and transport. The second tiers feature adjustable sliding feet to suit smaller keyboards, controllers, drum machines, mixers and sound modules, with an optional third tier available with either curved or straight arms to also accommodate smaller items such as lap top computers. A threaded connection adaptor will allow the fitment of additional Quik Lok accessories such as mic boom attachment, tablet holders, laptop holders and music stand, making the stand very versatile. Stylish, contemporary raised base design provides plenty of room, for volume, sustain and control pedal ,with convenient cable management clips on the centre column. The SL913 is the perfect solution for stage live performance, studios or home use. 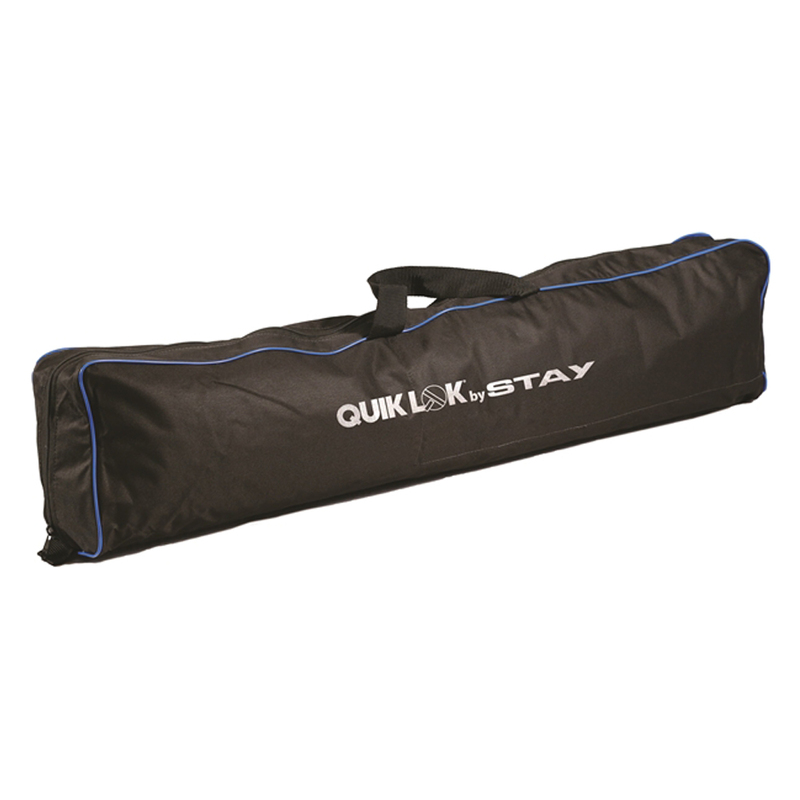 Included nylon carrying bag with dedicated inner compartments to safely stow tiers and feet. 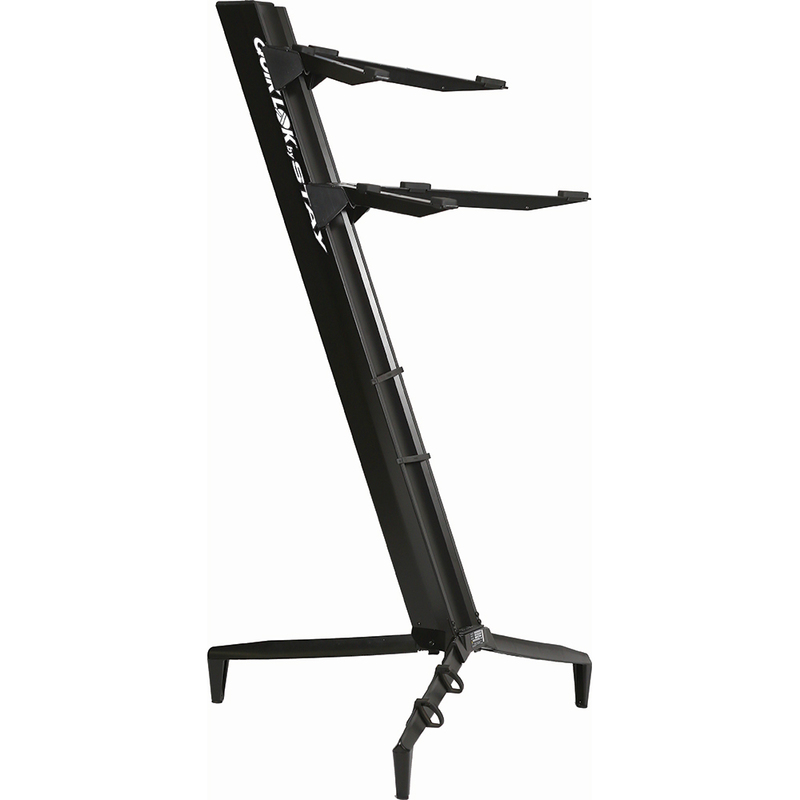 Stand out from the crowd with this 21st century ultra stylish, contemporary, versatile keyboard stand.